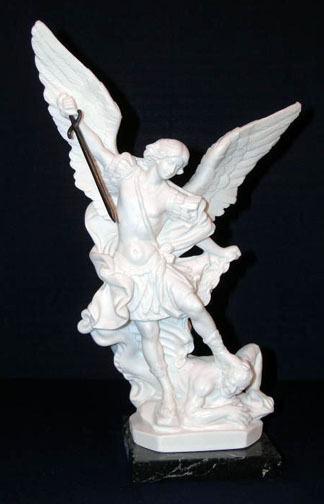 St. Michael in all white alabaster with a black marble base, 12". 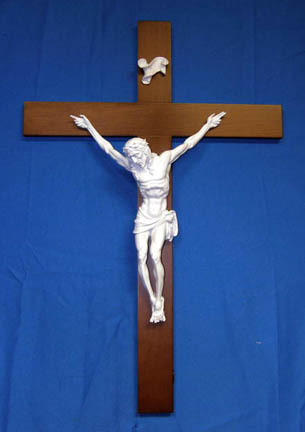 For full color see 229-C (13"). Made in Italy. 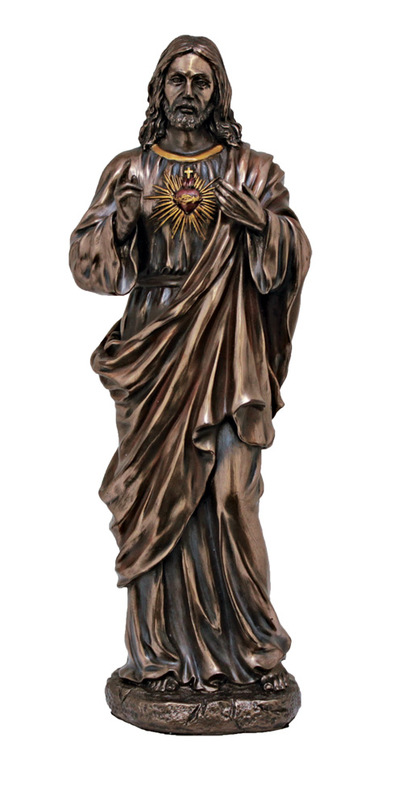 SRA-SHJ11, Sacred Heart of Jesus, Cold-Cast Bronze, Lightly Hand-Painted, 11"
A Sacred Heart of Jesus statue in lightly hand-painted cold cast bronze, 11".